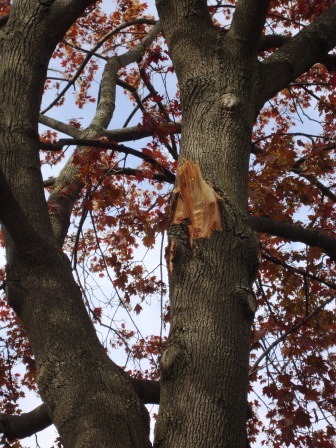 At the root of the matter – this tree. I told the committee. I told the council. 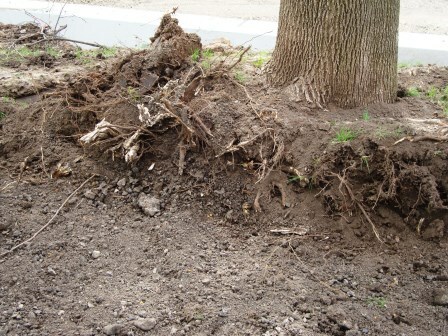 I explained that narrowing the road wouldn’t help the tree in front of my home because it would damage the root system beyond repair. Behold. How dare that crew park their instrument of mass destruction next to the tree they’ve destroyed! 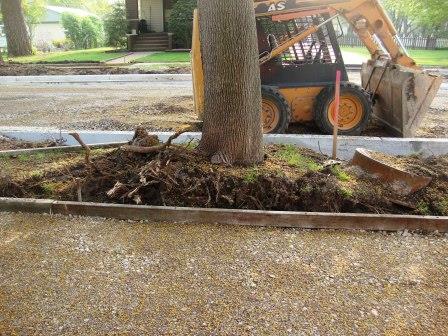 And there’s more – the neighbor’s cable line was torn down by one of the crew. 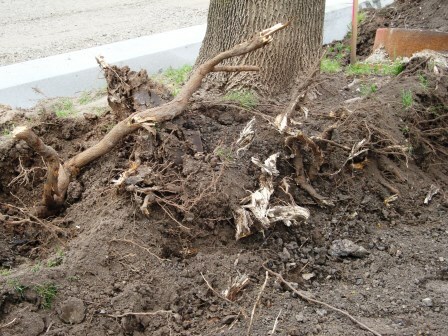 In the process of reconnecting it, the tree (now missing most of its roots system) lost a large branch. I’m really resenting this road replacement project. It’s causing major amounts of trouble for the tree and for my home. This entry was posted in family life this old house and tagged it's not easy being green by Daisy. Bookmark the permalink. You had the worst of it with flooding and gas leak. Oh good grief. What madness.